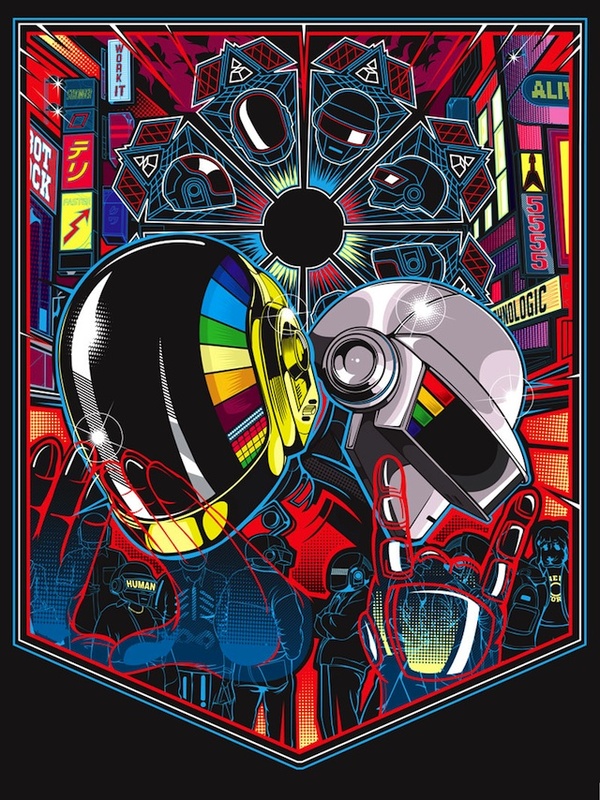 Tim Doyle now has Daft Punk prints available via Flood Gallery. On sale now HERE. 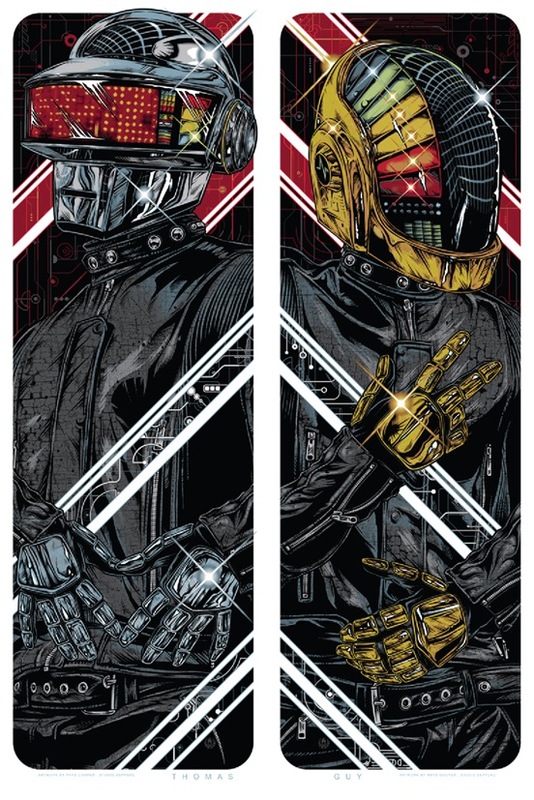 Gauntlet Gallery is proud to present Daft Punk Deux, its second annual art exhibit inspired by the French electronic music duo. 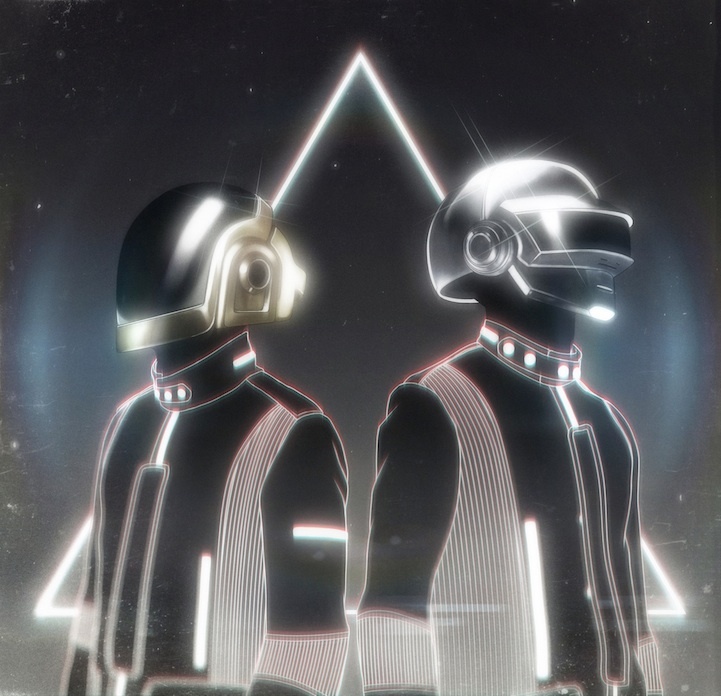 Last year Daft Punk released its first studio album in eight years, Random Access Memories, winning five Grammys in 2014 including Album of the Year, as well as Record of the Year for “Get Lucky”. 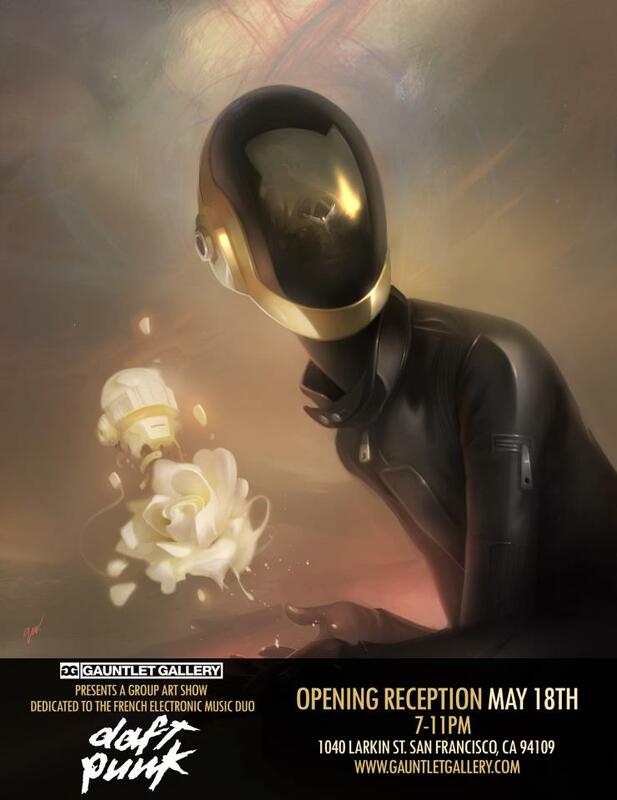 This year’s art exhibit will feature works by over 40 painters, sculptors, digital and screen print artists, each of whom has created an original work of art inspired by Daft Punk. 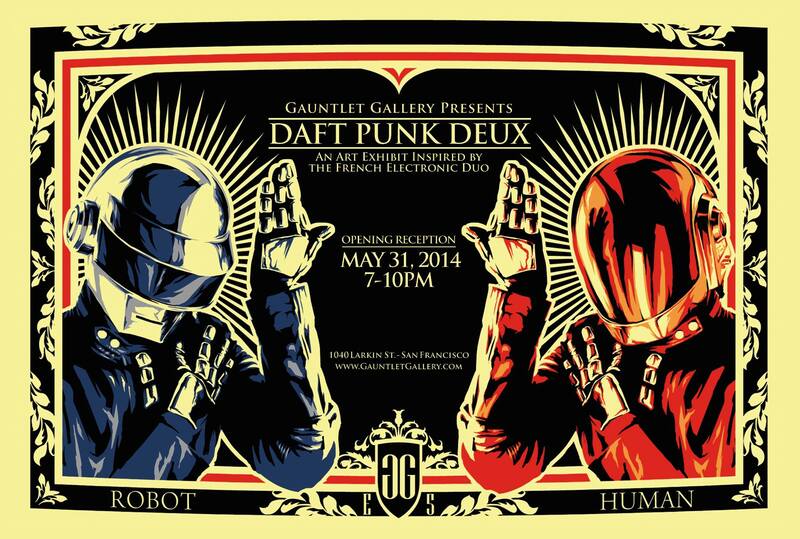 Gauntlet Gallery’s Daft Punk Deux debuts on May 31st with an opening night reception from 7pm to 10pm. 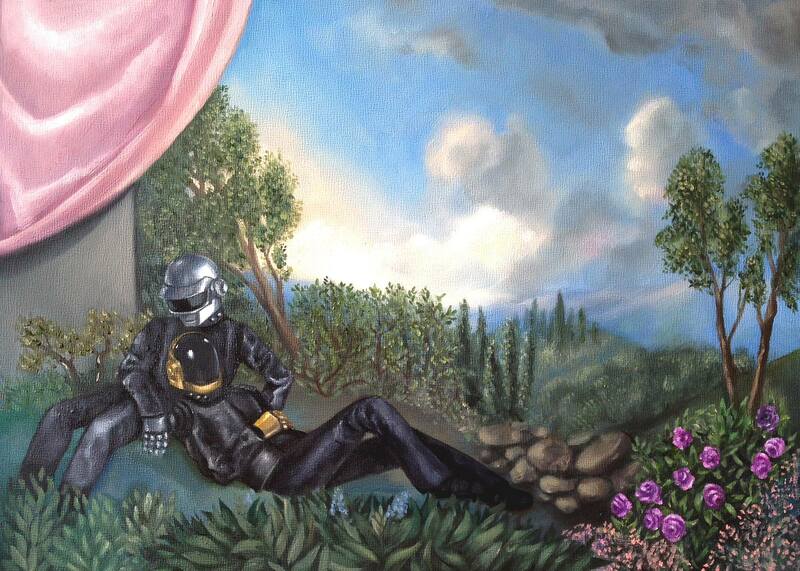 The show will be on view until June 24th, 2014. Located at 1040 Larkin Street in San Francisco, Gauntlet Gallery’s hours are 1-7pm Tuesday through Saturday, and by appointment. 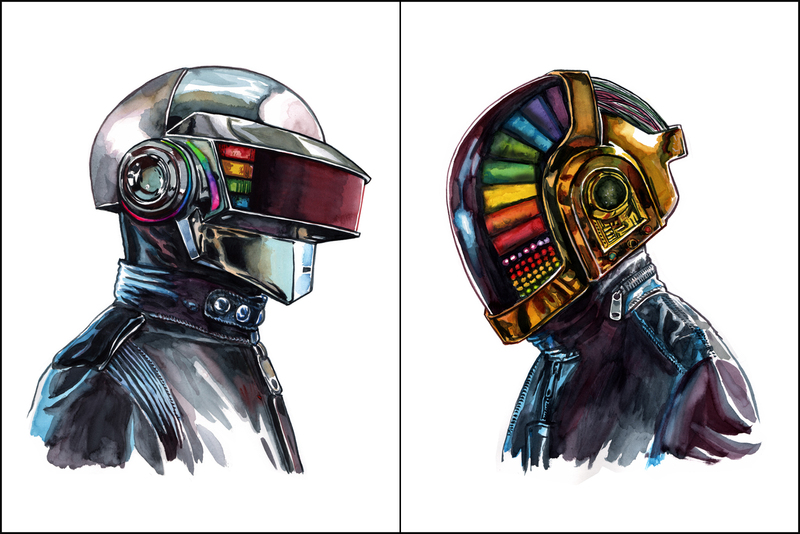 Tim Doyle will have a new 2-print set available soon titled, “Shiny Punk” as a tribute to Daft Punk. 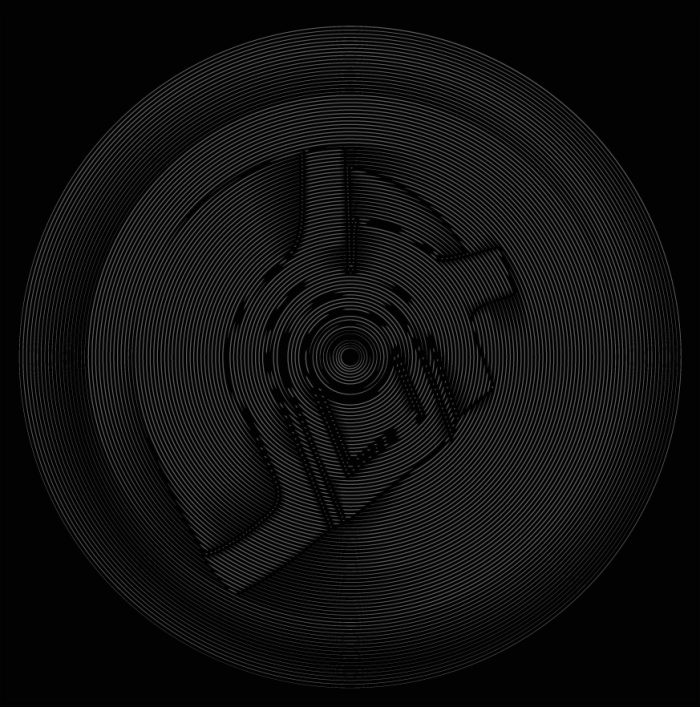 It is a set of (2) 12″ x 16″ Giclees and is limited to 50 sets via Nakatomi. On sale Wednesday, May 28th at 2pm Central (12pm PDT) HERE. 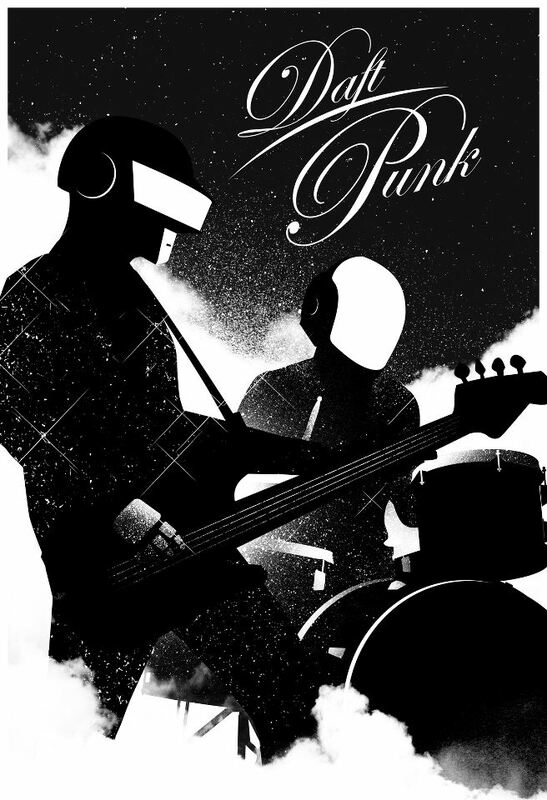 “Shiny Punk” by Tim Doyle. 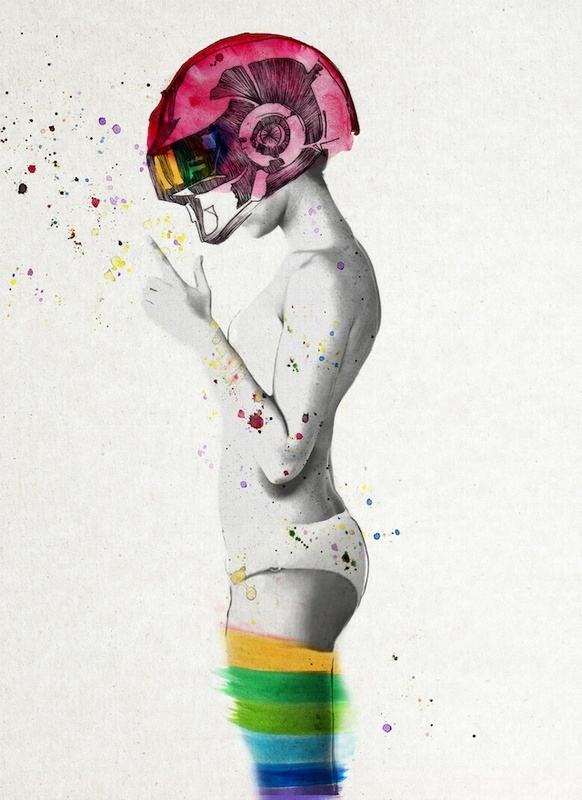 (2) 12″ x 16″ Giclees. 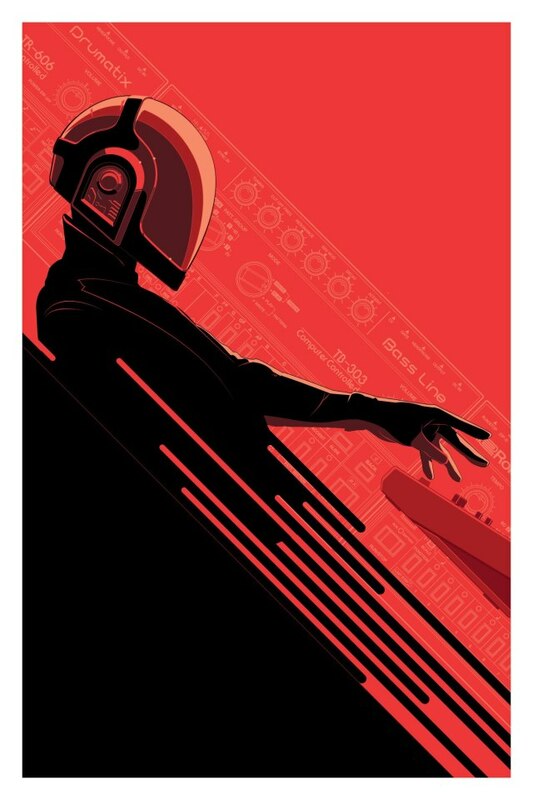 Craig Drake now has “Daft Roots (Blue)” available via Gauntlet Gallery as a compliment to his “Daft Roots (Red)” print released earlier. It is a Giclee print available on paper in 2 sizes: 24″ x 36″ (Ed of 100, $70) or 32″ x 48″ (Ed of 15, $170). 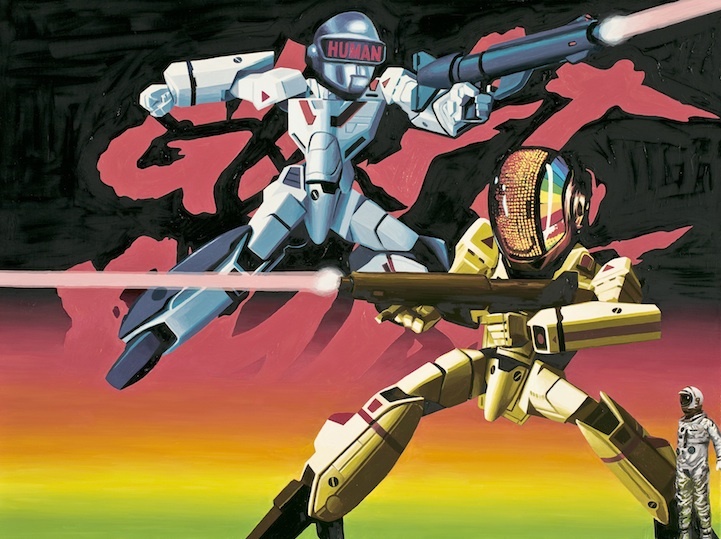 Also on canvas 32″ x 48″ (Ed of 15, $375). On sale now HERE. 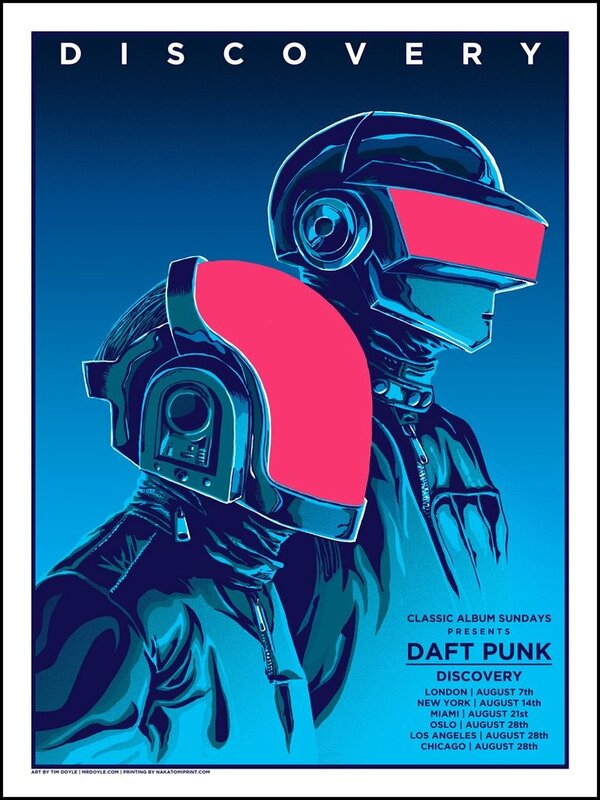 “Daft Roots (Blue)” by Craig Drake. 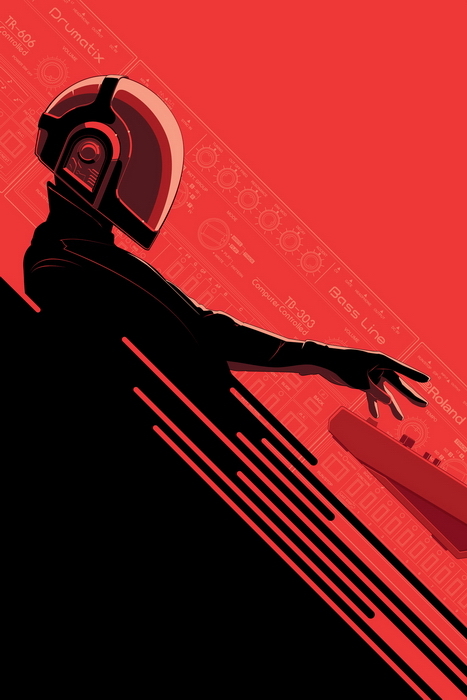 “Daft Roots (Red)” by Craig Drake. 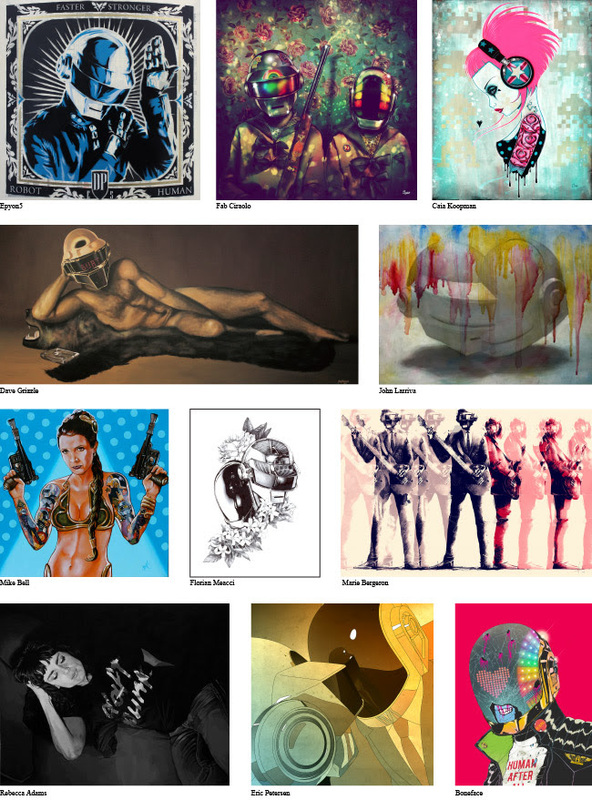 LastLeaf Printing (Mathias Valdez) has a few new prints available. 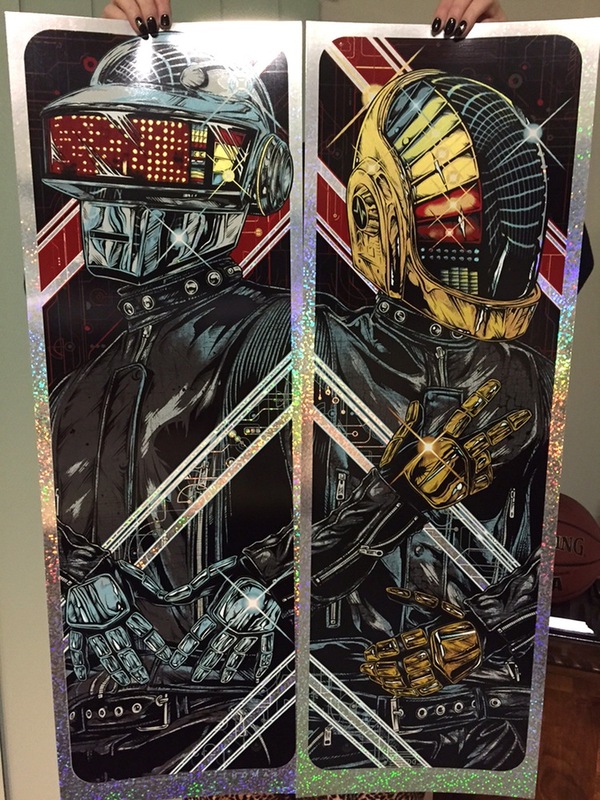 A couple gig posters and their Daft Punk art print from the recent show ReDiscovery at Gauntlet Gallery. 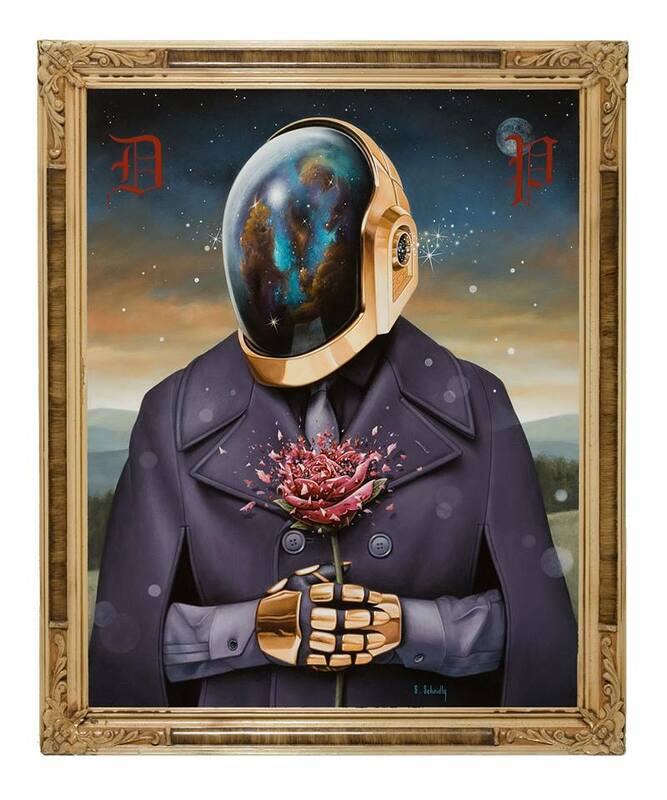 Gauntlet Gallery is proud to present ReDiscovery, an art show inspired by the French electronic music duo Daft Punk. 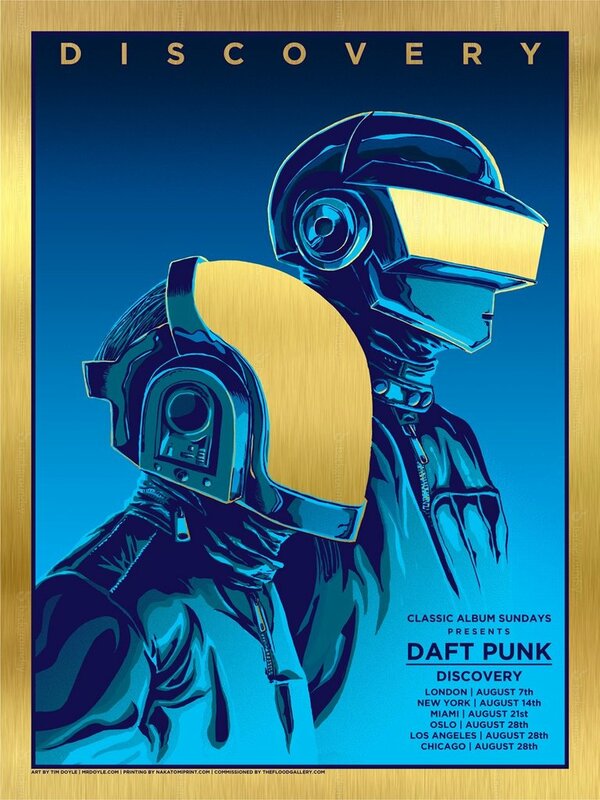 To celebrate the release of Daft Punk’s first album in eight years, Gauntlet Gallery will feature works by over 40 painters, sculptors , digital and screen print artists, each of whom has created an original work of art inspired by Daft Punk. 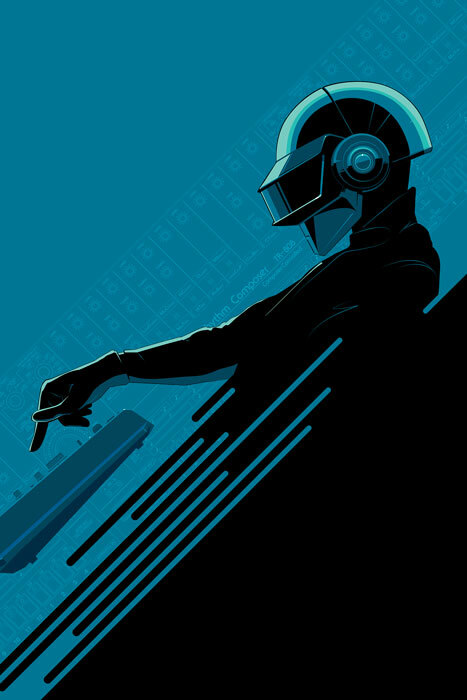 With their modern disco sound and blend of house, funk, electronic and techno music, Daft Punk puts on one of the world’s most popular DJ performances. Their musical talent is matched only by the extraordinary visuals of their live performances. 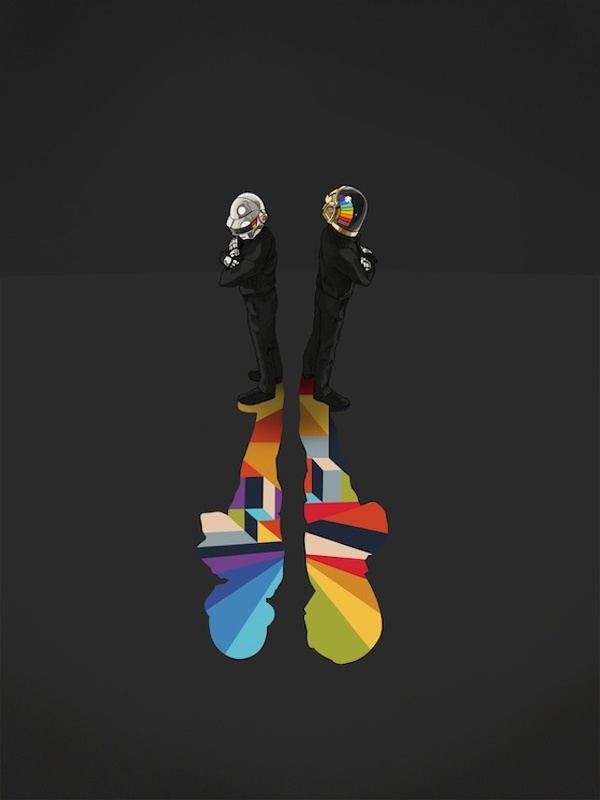 Daft Punk’s highly anticipated Random Access Memories is their fourth studio album and the first since the 2005 release of Human After All. 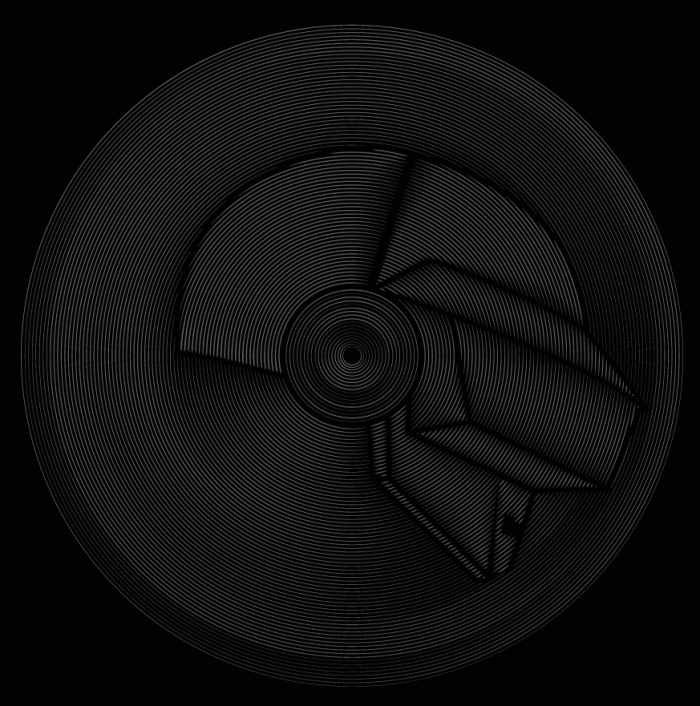 Gauntlet Gallery’s ReDiscovery debuts on May 18th with an opening night reception from 7pm to 10pm. The show will be on view until June 15th, 2013. Located at 1040 Larkin Street in San Francisco, Gauntlet Gallery’s hours are 12-7pm Tuesday through Saturday, and by appointment. ***Online sale on Sunday, May 19th at 12pm PDT HERE. UPDATE: ***Online sale on Monday, May 20th at 12pm PDT HERE. 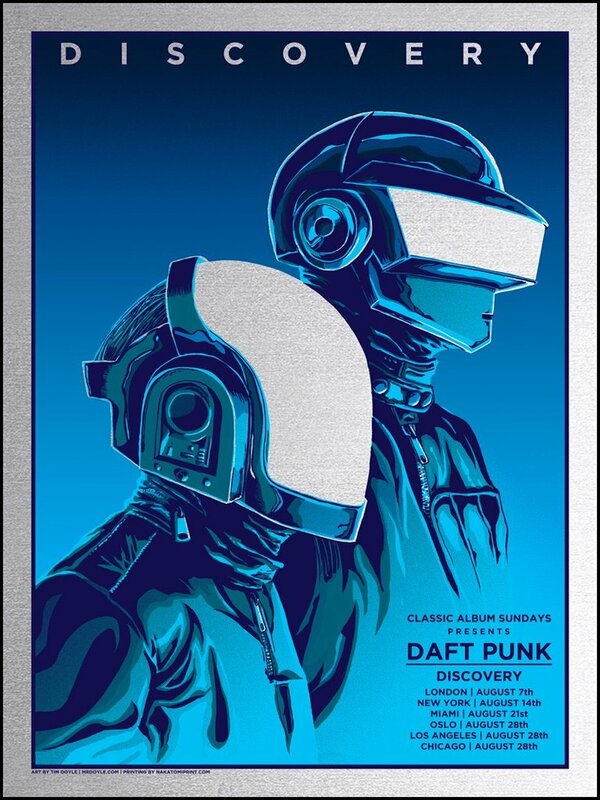 Dan Sherratt’s latest print is a knockout for any Daft Punk fans. 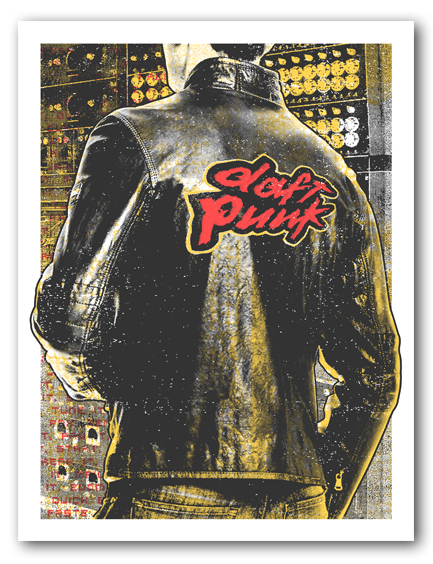 It is a 12″ x 36″ 2-color Screenprint with GID inks, signed/numbered edition of 75, and cost £30 ($48US). On sale Friday, March 30th at 7pm GMT (11am PDT) HERE.